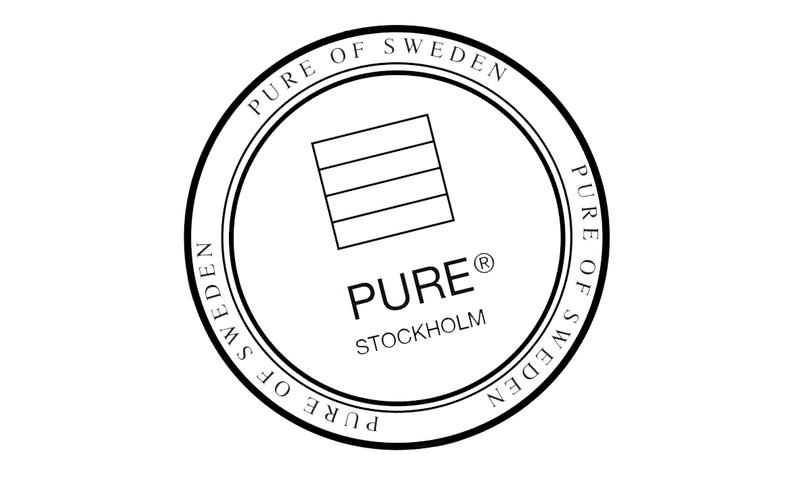 In fall 2010 PURE opened a concept store to fully fulfil its high standards on service, design and make up artists in the main shopping area of Stockholm. At the store you can drop in or book a tailored session based on your skin type and the look you want to achieve. You are welcome to bring a photo or ask a make up artist to create a new look. If you are going to a party, dinner or if you simply want to have make up applied by a make up artist we can offer our Make Up Application service. You can choose a day or nighttime look of your liking and we apply full makeup and skin care. Approx. 30 min SEK 300. Make Up Application by Head Make Up Artist SEK 500. During this consultation we will focus on the result you want to achieve - we analyze your face & skin type and we show you step by step how to achieve the desired look and how to skilfully enhance your best sides and tone down your problem areas if any. Approx. 50 min session with skin care & full make up applied costs SEK 500 and the whole amount can be used to purchase PURE products. Our makeup artists pluck & sculpt your eyebrows to perfection, approx. 10 min SEK 150. Much appreciated by our clients - this is one event you all can join in on! The bride gets extra attention with a longer consultation meanwhile other participants can enjoy Make up Application (SEK 300/person plus min. SEK 500 of product purchases for the bride). Approx. 1,5 - 2,5 hours depending on number of participants and we will arrange several makeup artists when needed. 2 sessions - at the first visit we do a 60 min consultation where we discuss the look you want to achieve, colours etc and we apply the full make up. At the second session we apply the chosen look on your big day. 2 sessions SEK 1495 of which SEK 295 can be used to purchase PURE products. If you prefer we can come to you on your wedding day (extra charge applies depending on where in Stockholm you live). In the Group Course we focus on learning how to apply skin care & makeup step by step - we demonstrate on 1 participant and consult each and everyone on their specific needs and you get a chance to apply what you learn on yourself. We teach you how to enhance your best sides and tone down your problem areas. Approx. 3 hours, 4-5 participants SEK 500/person of which SEK 200 can be used to purchase PURE products. If 6 participants or more SEK 375/person and the full amount can be used to purchase PURE products. We recommend either Make up Application for everyone or Group Course.